People often think being a perfectionist as a good thing but I think that probably in most walks of life and certainly in the creative world, it’s actually a curse not a blessing! It can prevent you from starting things nevermind completing them and then when you finally do complete them, you can’t enjoy the moment because in your eyes they’re never perfect – as an artist, it’s a self perpetuating hell and hence the tortured soul analogies that are associated with being one! That’s why I love the attitude of this week’s Style Warrior – she has a go, gets things done and done well but doesn’t tether her wings by wasting time worrying if something is perfect. By then she’s on to the next idea and so there’s this fantastic flow of creative energy that seems to constantly emanate from her corner of the internet. She’s a whirling dervish of multitasking and ever-evolving home styling experiments and I can tell you if you tune into her brilliantly written and hilarious interiors blog or her Instagram stories you’ll see someone who isn’t afraid to show the underbelly of what it takes to complete ambitious DIY projects while juggling home life, a successful ‘on the road’ styling masterclass and numerous social media ventures all at the same time. Looking in, you’ll feel as though you’re on one of those spinning fairground rides, stuck to the wall just watching it all happen mouth agog. We’re talking of course, about the vivacious Lisa Dawson and for the few who aren’t already following her on IG – you can do so here. 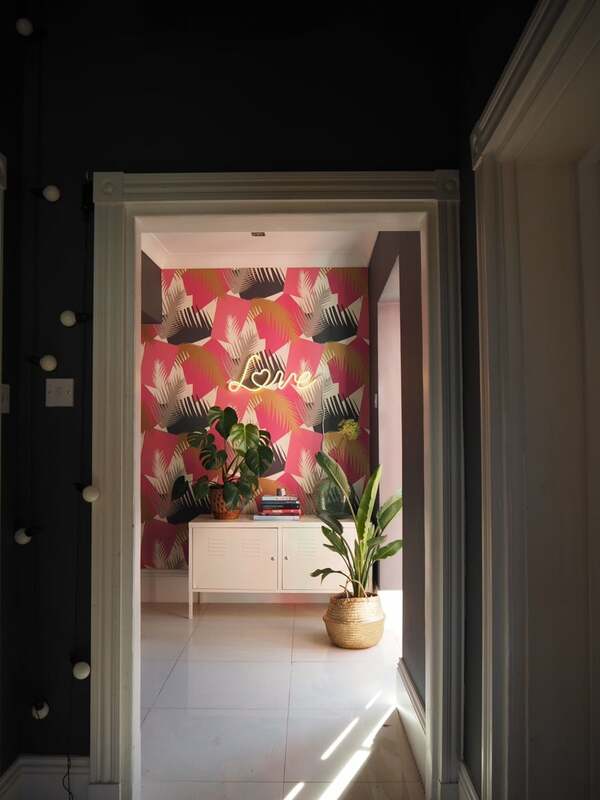 Lisa has grasped what’s important in being creative in the home and that’s to try news things and experiment – sometimes it works, sometimes it doesn’t but the point is she’s not trying to present a home that’s perfect. Instead she shows off her passions and personality injecting a touch of Miami Beach glamour (check out her home bar) and boho mixed with eclectic vintage finds and masses of art into a vast Edwardian home; showing us that through clever shopping, upcycling and an eye for seeing the potential in a charity shop bargain, we can all create a home that reflects our interests and individuality without spending a fortune. She does all this with a focussed determination to conquer a challenge, balanced with a refusal to take any task too seriously (noted her wearing Havaianas while using a floor sanding machine for the first time! )and if the going gets really tough, lean in with your ear and you’ll hear the pop and fizz of Prosecco being poured, the music turned up and the ‘problem’ being fashioned into an excuse for a house party faster than a balloon animal at a kid’s club – what’s not to love! 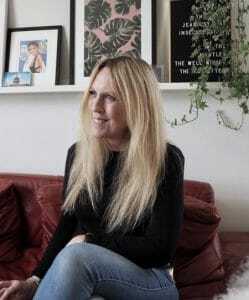 Hi, I’m Lisa Dawson, I’m an interior writer and blogger from London and I now live in York with my husband, three children, dog and kittens. I started posting interior shots on Instagram 18 months ago and my blog was launched just over a year ago. My ethos is styling and updating on a budget and I’m a consistent supporter of small business as well as working with brands to help them raise their social media profile. 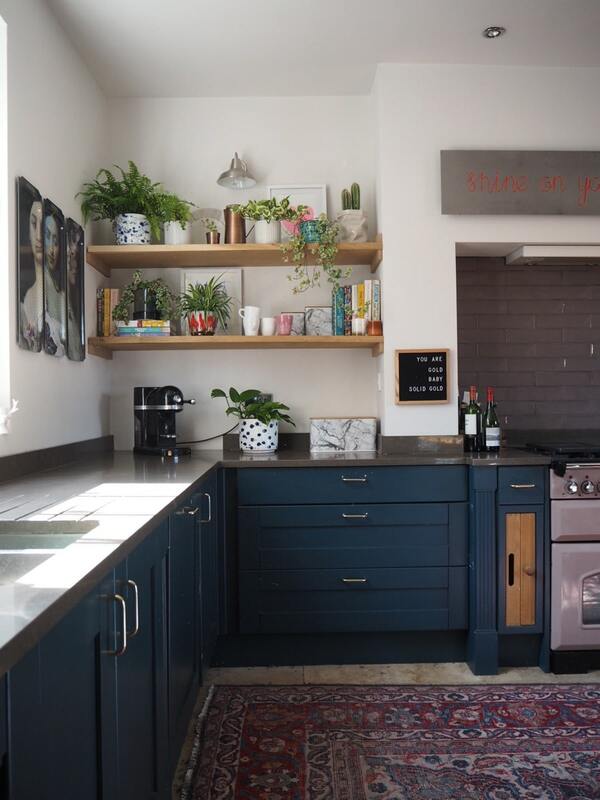 I run regular workshops on Styling Your Home and Instagram across the country and have just launched the UK’s first multi platform blogger challenge, Revamp Restyle Reveal which I’m super excited about. I’ve been nominated for Best Newcomer in the Amara 2017 IBA’s and am a finalist in the EKBB Influencer Awards. Marie Claire have listed me in their Top 30 Influencer Power List published in September this year. 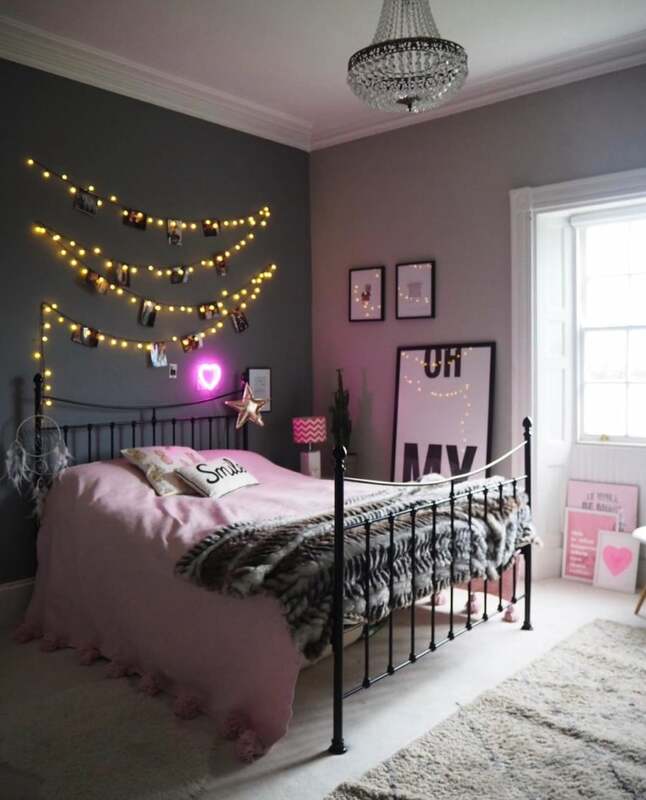 I’ve always loved interiors and it was only when we moved to York and moved into our dream Georgian home that I was really able to explore my ideas! The house had been refurbished but was perfect for a décor addict like me who wanted to put her own mark on it. My style is eclectic – am passionate about recycling and upcycling furniture – and love mixing old with new. I’ve always been a charity shop trawler and eBay user and 90 percent of my home is thrifted. When it comes to art, I enjoy mixing old with new – it’s not uncommon in my house to see a modern print from a small online store mixed with a gold framed Old Masters print from the local charity shop. 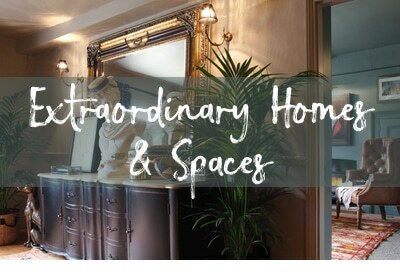 I’m also a hugely transient decorator and always have been so everything in my home needs to be multi tasking! I’ve been working from home to suit family life for the last seven years, at the beginning with a shop on NOTHS and latterly transcribing books and interviews. My life in the last year is now totally different and changes week by week! 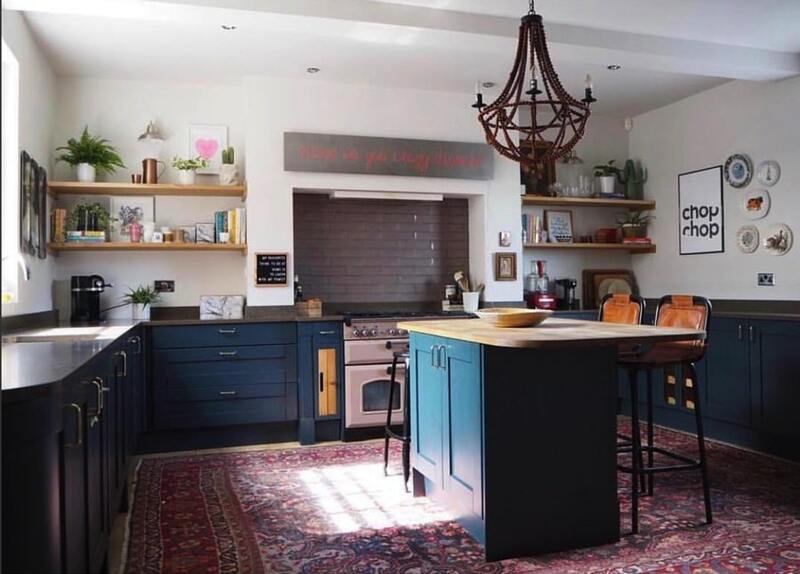 I travel to London at least once a fortnight to meet brands and attend events and all over the country with our workshop, Styling Your Home – Four Steps To No Rules Interior Cool. 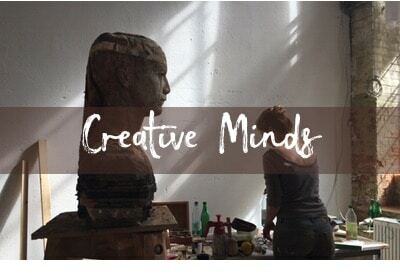 I spend lots of time planning workshops and liaising with Dee, my workshop partner, about future ideas. Revamp Restyle Reveal is taking up a large proportion of my day at the moment as it’s a new project. I’m often asked to contribute to blogs and magazines and my own blog is weekly so that’s a big part of my schedule. And of course, my house is a work in progress so am always creating mood boards for my next DIY project. 3. 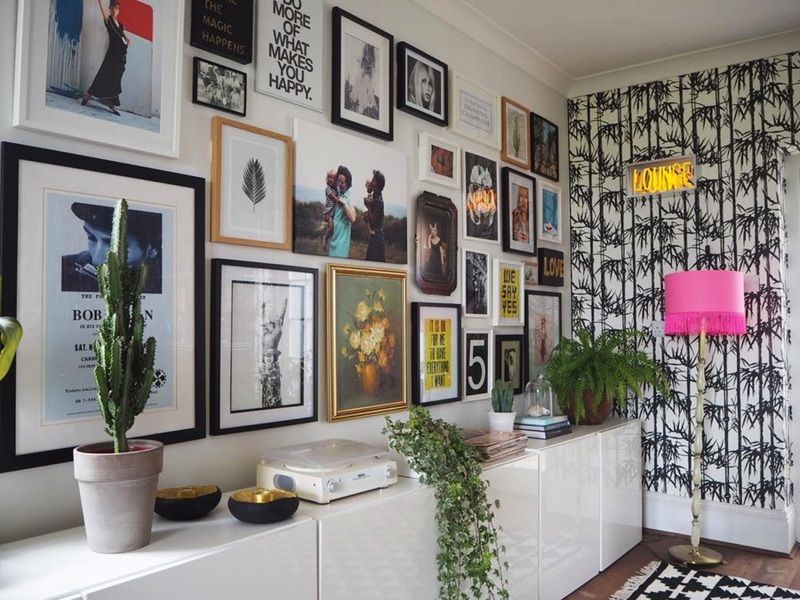 Can you tell us about your most successful creative DIY interiors project …..and to make us all feel better, what was your biggest interiors mistake? My favourite project has been the kitchen. When we moved in, it was brand new (the house had been refurbished) so it was difficult to warrant taking it out, plus we couldn’t afford it. So I took off the wall cupboards, replaced them with oak shelves, painted the cupboards and changed the handles. 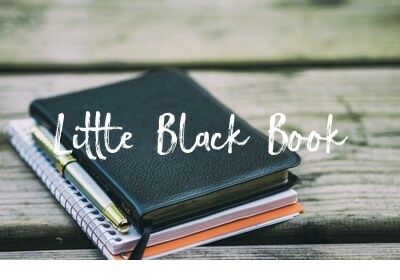 I did the whole thing on a very small budget – I sold what I removed and sourced from eBay. I did something quite controversial and put a huge Persian rug (super cheap from eBay) underneath the island bar and it really pulled it all together. I didn’t trust myself to do a good job on cupboard painting so I employed someone to do this for me, but I think that nowadays I would have a go myself. Including the tradesmen, the whole lot came in at under £1500 but it looks completely different. My biggest interiors mistake was buying a Pieff dining table and six chairs from eBay for £150. I decided they were perfect for the dining room and spent a huge amount of money – £350 – on having them reupholstered in a tweed that I then immediately went off. After three months, I realised the dining table wasn’t nearly big enough so I repurposed it as a desk in my office. The chairs went on eBay with very little interest and I sold them for £35, the biggest loss I’ve ever made! The woman who collected them couldn’t believe her luck! 4. 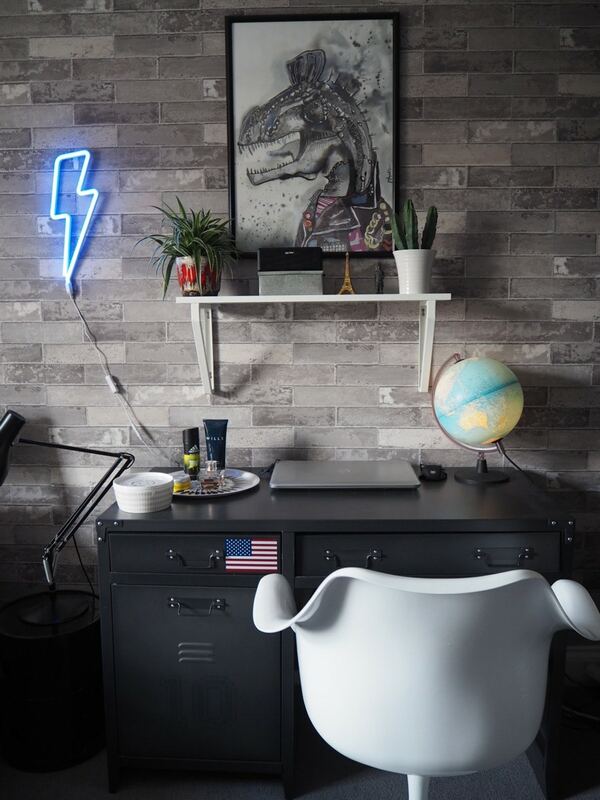 What’s your process for coming up with creative interior ideas? I’m a huge pinner and I also love Architectural Digest for style aspiration. Apartment Therapy is the best blog out there for interior ideas. Emily Henderson is one of my absolute icons – I love her individuality and use of colour and her rooms never fail to please. Jonathan Adler is another one of my favourites, everything he produces is a dream. I am also hugely influenced by the boho trend, Liz Kamarul does this to perfection. 5. 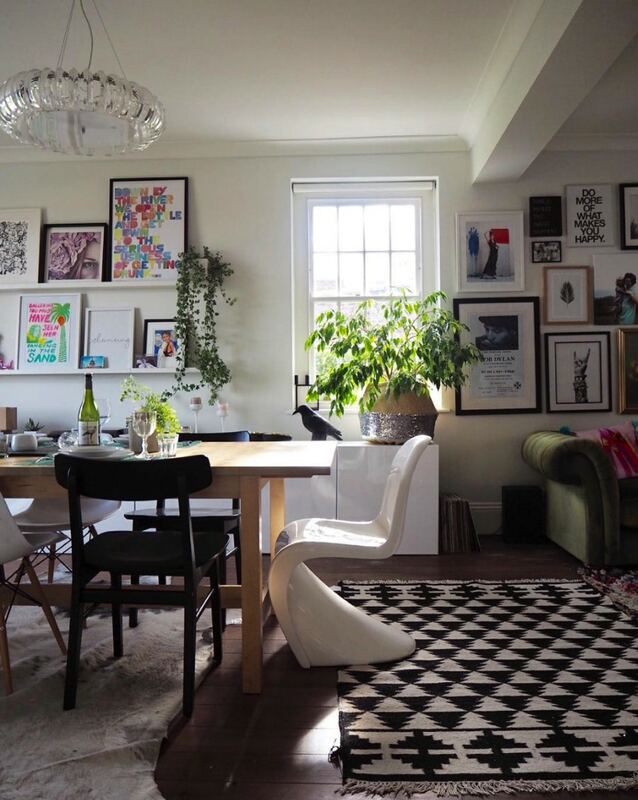 Can you tell us about how you approach planning and styling a room or space? Mood boards! 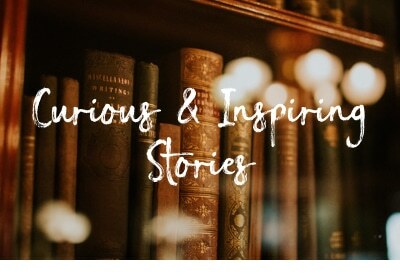 I am obsessed with Canva.com and I mood board literally everything. I generally pin until I can pin no more for the room I’m planning and then pick out my favourite parts and pull them all together. When I am thinking about a room I will usually have one main inspirational picture that I will use. Then I work out what I can reuse in the room and what I need to find. I aim to use as much recycled furniture as possible when planning out a space. 6. What role does art play in your home? My home is covered in art. I love gallery walls and it’s rare that you will find one piece standing alone. I love mixing old with new and am particularly fond of mid century artists and kitsch prints. I’ve always been a fan of typography and use this a lot in my home, particularly on wallpapered walls where I don’t want to draw the eye away from the print. I’m a big believer that wallpaper should be used as art work and as such it’s one of the few things I am happy to invest in. I think it should be stand alone and I won’t add artwork to it unless it’s very clean lined typography or neon, otherwise I feel it looks cluttered and detrimental to the paper. I love prints that have memories, art that means something. 7. What’s your favourite piece of art in your home and why? My favourite art in my home is a huge canvas by Slim Aaron of Hotel Du Cap Eden-Roc. Joe, my husband, gave me this for Christmas in a year that I had been quite ill as he knew that I loved the photograph. It never fails to make me happy – everyone needs a bit of sunshine and blue skies to lift spirits! 8. 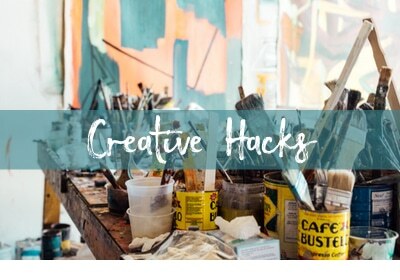 What’s your best DIY Style warrior ‘secret’ tip that can you share ? Don’t just buy what everyone else has got. It’s easy to pick up on trends but the trick is to use just a little bit of it, not a lot. Instead of going the whole hog, just add a hint of the trend, then you can easily change it around when you grow tired of it. 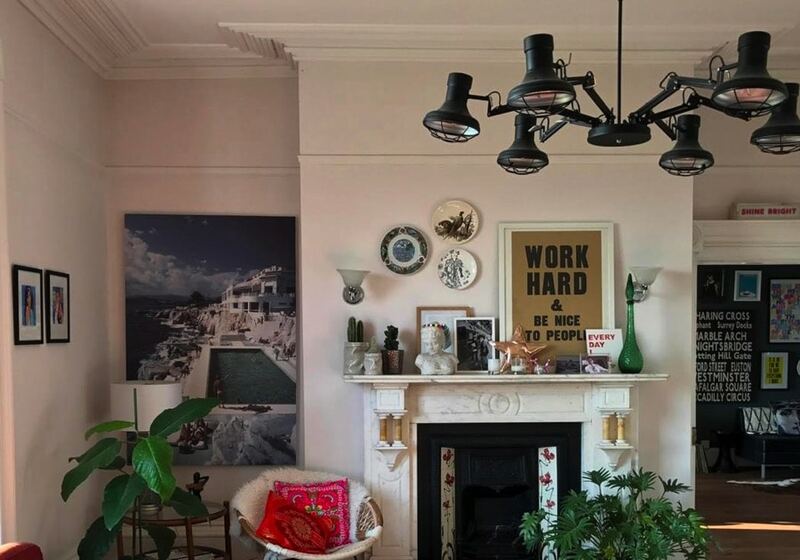 I once made the mistake of painting an entire room in blush pink as I was obsessed with the colour when I should have just stopped at one wall. Just using a bit of a trend and adding your own mix around it makes it far more individual. Ha! I would ask George Michael, make everyone dress up in CHOOSE LIFE t shirts and ask him to bring a bottle of Aperol Spritz. We’d play Wham music all night and turn on my Club Tropicana bar light from Light Up North. Best: I am very sociable and my bar is open at all times. Worst: I am very bad at closing the bar. That bar has become iconic! Thanks so much Lisa for taking time out of your busy schedule to talk to us – I always say if you want something done ask a busy person! She has a unique ability to connect with people in a way that keeps it real at all times yet throws up the possibility of art and glamour being a natural part of the everyday. She makes us believe that we can all have these things too, that we can be adventurous with art in our homes without spending a fortune, that we don’t have to look for our neighbours (or our extended family’s) approval to try new things and that it’s ok to dip into trends or break away from safe mainstream decor yet have a fun relaxed home that the whole family can enjoy. 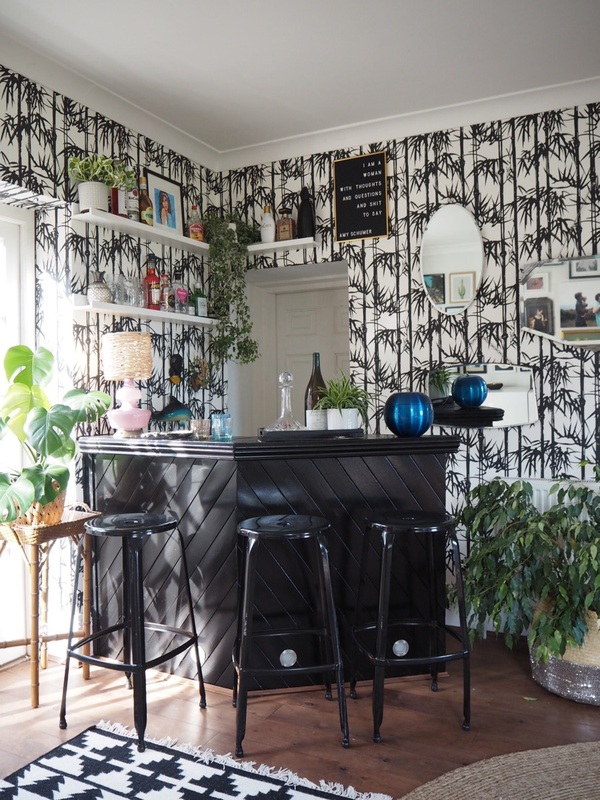 If you want to see more of Lisa’s home DIY and styling projects live then hop over to the new Revamp Restyle Reveal website that she’s recent launched along with fellow interior obsessives, Bianca Hall ( French For Pineapple) and Oliver Thomas who you’ll recognise as a finalist from The Great interior Design Challenge. 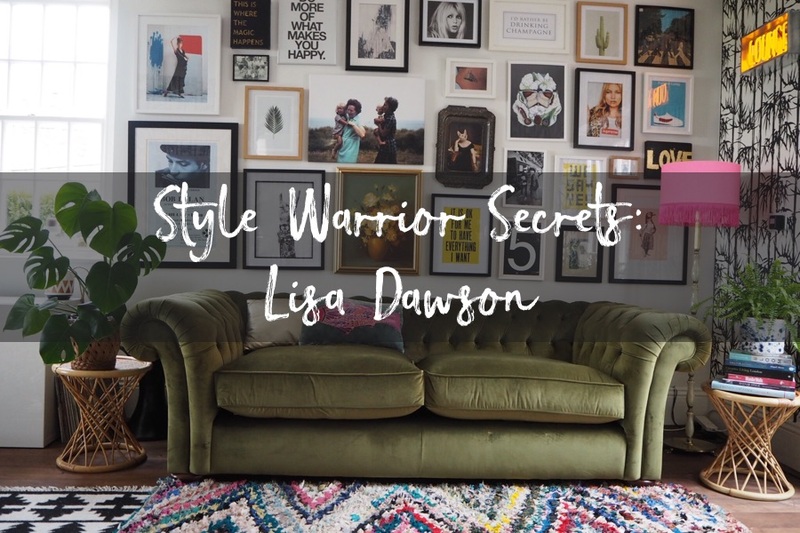 If you missed last weeks Style Warrior secrets you can catch up here and I’ll be back with a new Style Warrior post in a fortnight!